No. 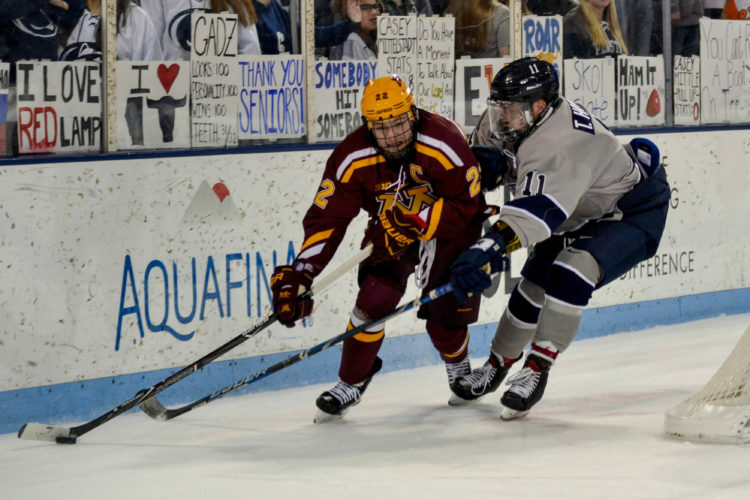 18 Penn State Sweeps No. 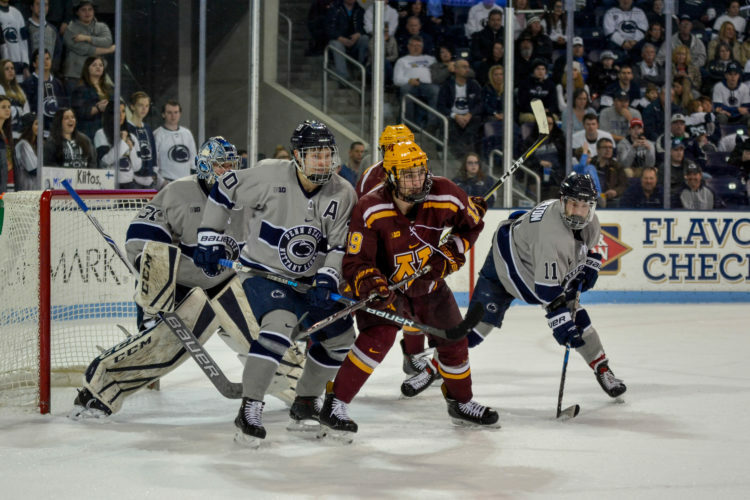 8 Minnesota for the First Time to Earn Home Ice in Big Ten Quarters With 5-2 Victory. 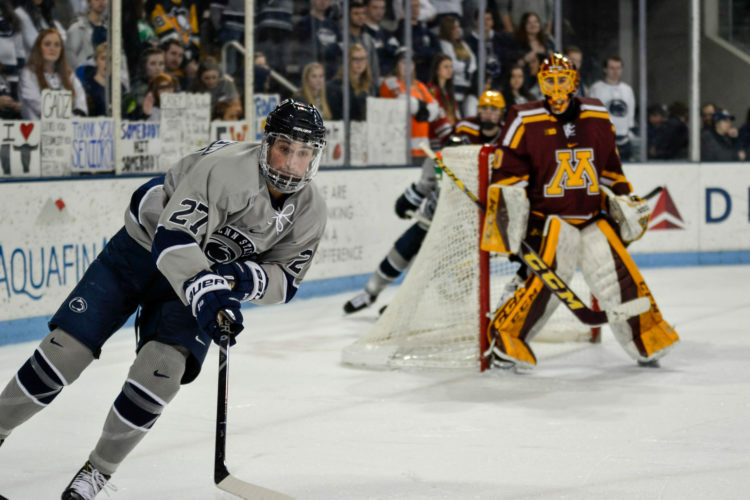 UNIVERSITY PARK, Pa. – Freshman Alex Limoges (Winchester, Va.) set a career-high with a pair of goals and one assist for a three-point night to lead No. 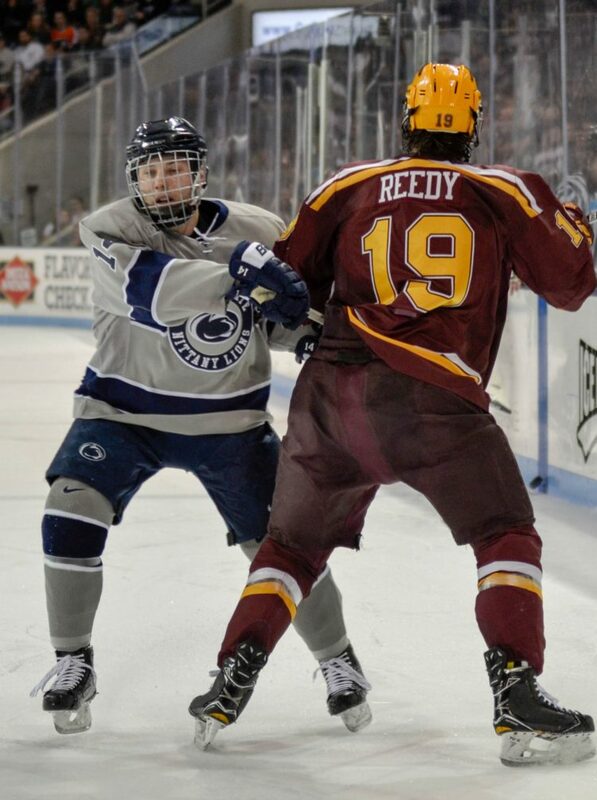 18 Penn State past No. 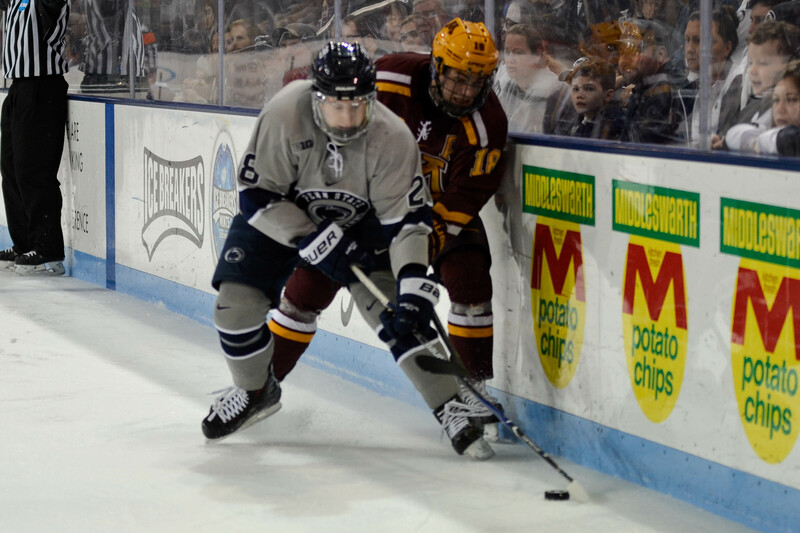 8 Minnesota, 5-2, in Big Ten Conference action this evening to close out the regular season inside Pegula Ice Arena. 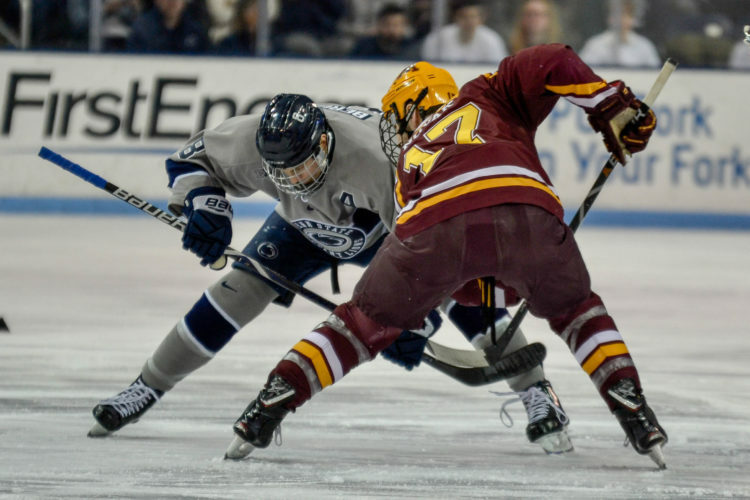 The weekend sweep is the first-ever for the Nittany Lions against Minnesota and by taking three-of-four games and nine of a possible 12 total points against the Gophers this season they secured their first-ever series victory against Minnesota. 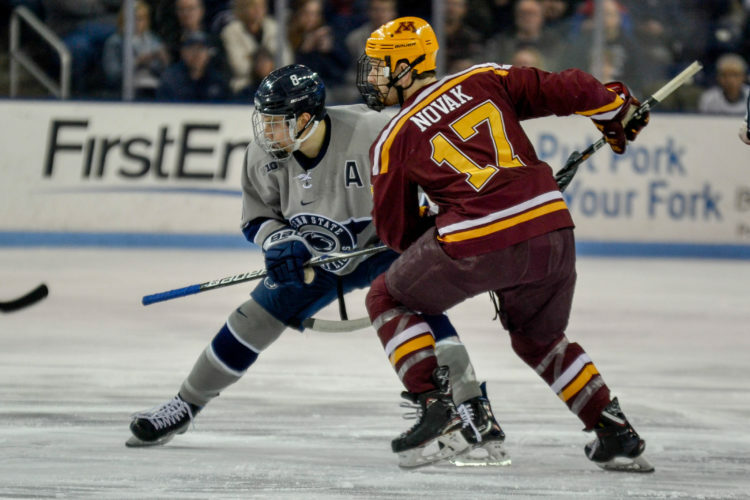 Penn State improves to 16-13-5 on the year and 9-10-5-2 in conference action while the Gophers fall to 19-15-2 overall and 10-12-2-1 in the Big Ten. 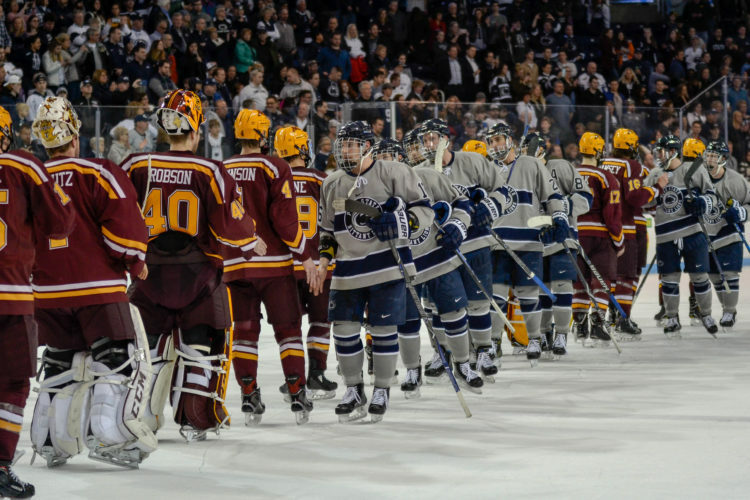 With the victory, Penn State secures the No. 4 seed in the Big Ten and will host No. 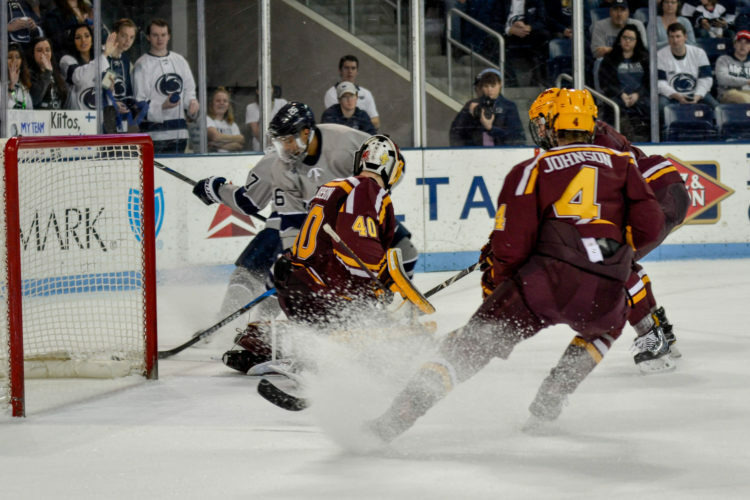 5 Minnesota next weekend in a best-of-three quarterfinal series in the Big Ten Tournament on Friday and Saturday with game three if necessary set for Sunday. I am a freelance photographer specializing in sports photography. I have covered Pittsburgh Penguins Hockey and the 2017 Stanley Cup Final for Inside Hockey; Penn State Football, Men's Hockey, Baseball and Softball for the Centre County Gazette and the Centre Daily Times, as well as being featured on websites such as PensNation, Black Shoe Diaries, Roar Lions Roar, and HockeyValley. I have also contributed photographs for feature articles for the Centre County Gazette, Town & Gown, and the Centre Daily Times.